As we gear up for Arizona’s 2018 primary election, employers should be aware of their legal obligation to permit employees paid time to vote, without penalty. While the primary election is not scheduled until August 28, Arizona’s early voting laws allow early voting both in-person and by mail during the 27 days leading up to the election. Before Election Day, employers can encourage employees to vote on their own time, but have no obligation to give employees paid leave to vote during working hours. To the extent that an employer’s policies permit, however, employees can always elect use their paid time off to drop off a ballot. Despite the ample early voting opportunities available to Arizona voters, employers are required by Arizona law to permit their employees protected and paid time off to vote on Election Day, without penalty. This law applies to employees whose shift schedules deny them less than three consecutive hours between the opening of the polls and the beginning of their shifts, or between the end of their shifts and the closing of the polls. Because Arizona law requires that the polls remain open from 6:00 a.m., to 7:00 p.m., employers are required to make accommodations for all employees who seek leave to vote, and whose shifts either start before 9:00 a.m. or end after 4:00 p.m. So, your employees want to leave work to vote on Election Day. What should you do? It’s pretty simple—let them leave to vote. The time an employee spends voting should be paid as time worked, though it’s prudent to log that time separately as “voting time” on employee timesheets. You can’t reduce their wages, or force them to dip into their earned paid time off or sick time. And you can’t penalize them in any way for choosing to vote during working hours. Over the last four presidential election cycles, 55.0% of Arizona’s voters have been employed in hourly rather than salaried positions. A mass exodus of hourly employees on Election Day could cause staffing problems in many industries. As an employer, you are permitted to provide reasonable restrictions on when your employees can leave work to vote on Election Day. For example, you may specify which hours each employee may be absent to vote, and you can also require that your employees notify you in advance of Election Day to arrange a time that they may leave to vote. You need only provide employees with three consecutive hours in which to cast his or her ballot, either before or after the employee’s shift. While you aren’t required to advertise or give notice of this law, some employers include a provision in their employee handbook that gives employees notice of their rights and of these restrictions. Any employer that denies its employees the right to leave to vote on Election Day can be charged with a Class 2 misdemeanor. The Arizona Employment Protection Act also gives an employee who has been fired for voting pursuant to this law the right to sue his or her former employer for retaliatory discharge. We live in a politically charged time. There is much confusion about employees’ rights to “free speech” at work (or lack thereof), and many employees feel passionately about exercising their right to vote. You’re only required to provide paid leave for those employees who request voting leave in advance of Election Day. Still, employers might consider encouraging employees to take time to vote on Election Day if they have not voted early. 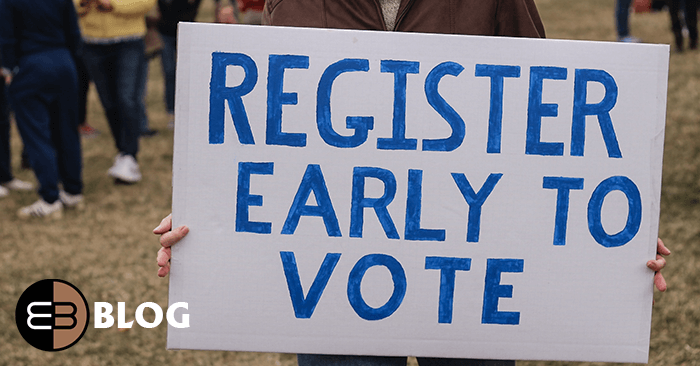 Americans are busy people, and many voters are unaware of their early voting opportunities. According to a July 2018 report published jointly by the Arizona Citizens Clean Elections Commission and Morrison Institute for Public Policy, Arizona has one of the lowest voter turnout rates in the nation, and the number one reason Arizonans cite for not voting is that they have no time, or are too busy. Voting leave is a benefit to which your employees are already entitled. Encouraging civic engagement can boost company morale and employee satisfaction. And we know that employee satisfaction is good for business. Election season can also give rise to toxic political discourse in the workplace. Employers should never miss an opportunity to encourage civility and to ensure that management is leading by example. For more guidance on speech issues, look for our upcoming series “Speech in the Workplace” which will cover topics ranging from political speech and religious freedoms in the workplace, to confidentiality restrictions and policing employees’ use of social media. 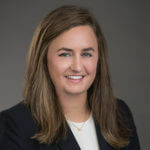 About the Author: Meaghan Kramer practices employment law and commercial litigation for EB. Meaghan is interested in the future of work and writes about issues affecting the workplace, including safeguarding workplace confidences, and creating work environments that are free from discrimination and harassment.